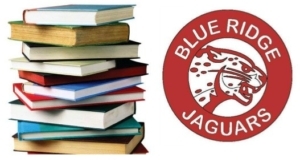 The Mission Team is proud to begin our third year of our Book of the Month Club at Blue Ridge School. Each month a group of volunteers goes to the school and reads a new picture book to a class of students. The book is then presented to the class to add to their classroom collection. Not only do you get to share a great story, you will receive lots of hugs and smiles from these wonderful children! This year we will be adding second grade to our club. We will gather from 9:30-10:00 in room 225 for coffee, fellowship, and book previews. We will read to K-1 from 10:00-10:30 and to 2nd grade from 10:30-11:00. If you would like to be a reader please email Alice Ensley (ensleyalice@gmail.com). If you have a request for grade level or classroom, please let her know!